The jail currently operates as an attraction and venue, but many of the buildings are in a ruinous state, limiting its potential. 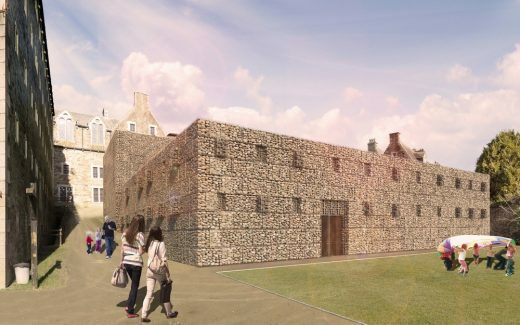 Twelve Architects, working with a team including Sarner International, Montagu Evans, Arup, Turner & Townsend and Astute Fire, has devised proposals to create a state-of-the-art visitor experience and teaching and learning resource; an upgraded venue for private hire; and a 63-bedroom hotel. 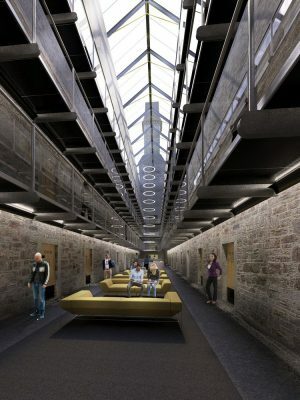 Complete refurbishment of the two wings of derelict cell blocks will house hotel accommodation above part of the museum. 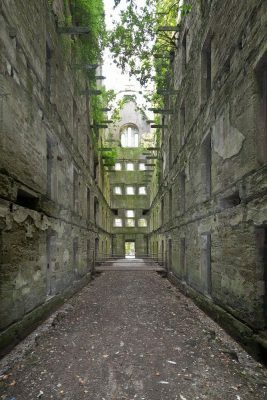 A glazed rooflight running the complete length of both wings will create a central atrium for the hotel and will enable the magical, naturally lit quality of the ruin to be retained. 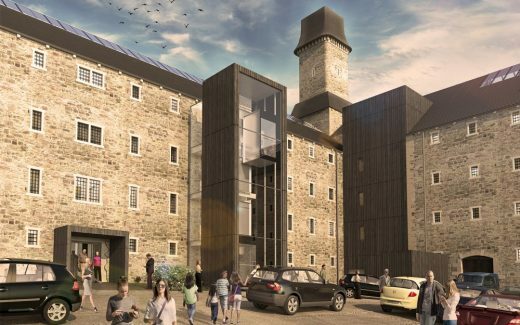 A new external lift and core, both clad in charred timber, will improve circulation and servicing to the Grade II listed building. Working with the existing structure, each ensuite bedroom will be formed from three cells and interiors will feature colours and textures inspired by the aged, weathered stone. 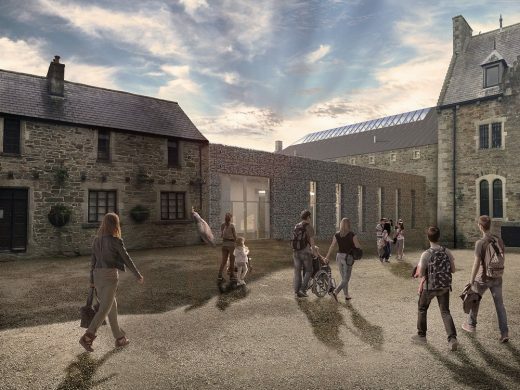 Under the proposals, a new 1200m2 building will house the ‘Dark Walk’ attraction, a sequence of themed rooms containing scenic sets, films and projections to immerse visitors in the history of the area and allow them to share the experience of inmates of Bodmin Jail during the 18th and 19th centuries. 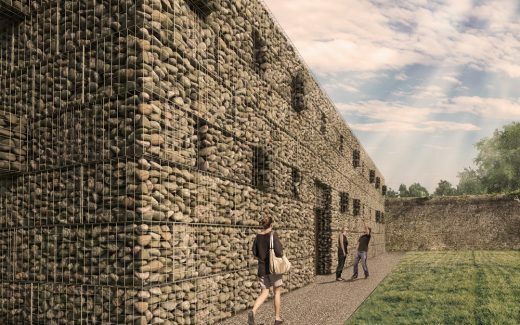 This will be clad using stone gabions: a mesh of stainless steel cages containing hand-laid stones from a quarry situated on the same rock seam as was used for the original building. Across the building, a pattern of gabions sitting forward and back of the facades, break up the massing and echo the fenestration of the jail building. The existing Governor’s Hall will remain as the main venue and restaurant space which will be refurbished and upgraded. 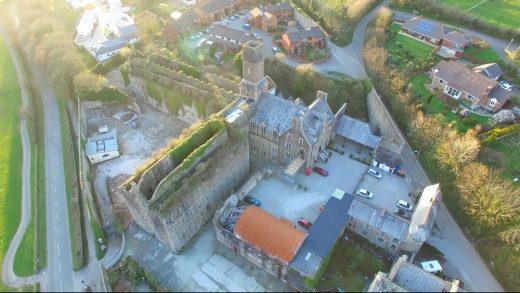 The planning application was submitted in early January with work planned to start on site in early 2018.